In this review we’re taking a look at the new Woven Nylon Band from Apple and comparing it to a NATO strap from Clockwork Synergy. First up, price: Apple's Nylon band isn’t too bad for $50 and Apple has plenty of options to choose from on their website. There's actually an interactive gallery to customize your Apple watch on their website. We did have a few issues with this band. First, we did not like the proportion of the band size to the watch. The design makes the watch look fat when you look at it from the top. 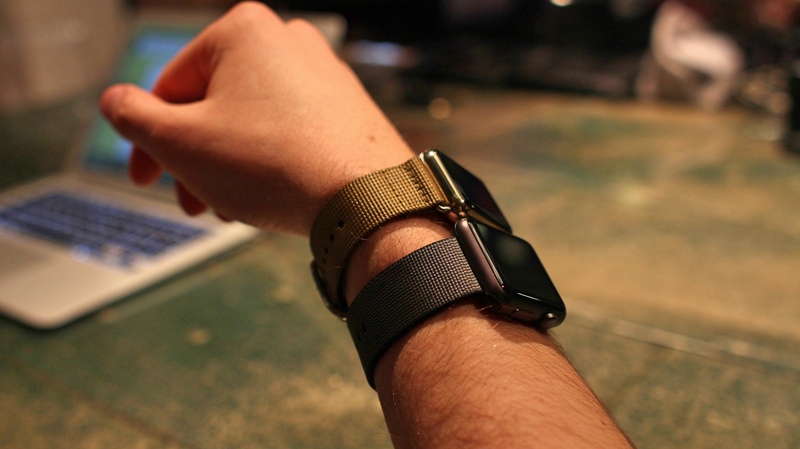 Compared to other bands such as the replica link bracelet, which have a sleek contour to them. The adapter is also plastic and feels somewhat cheap. It's a deep black color and doesn't match the Space Grey sport. Not only that, we had fitment problems as it was getting stuck in our Space Black Steel case. 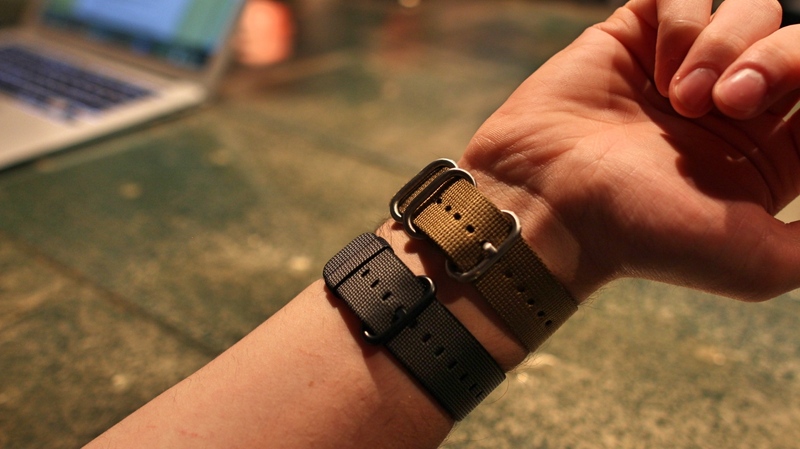 For the NATO straps from Clockwork Synergy, these are a great option for only $30 bucks. There's a few differences to note. The Clockwork straps have 3 rings on the back, the Apple one only has 1. The NATO straps also have more stitching while the Apple is a single woven design. The Clockwork straps come with a matching adapter, and the design is great with a rugged look and feel. There’s many color options available on their site and if you use clockwork synergy coupon code SMARTWATCHME15 you’ll save 15% off your entire order. Both bands are nice in their own ways and we think there is a place for either in your assorment of bands. It really boils down to what type of design you’re looking for and the price you’re looking to pay.